Here's a blast from the past! 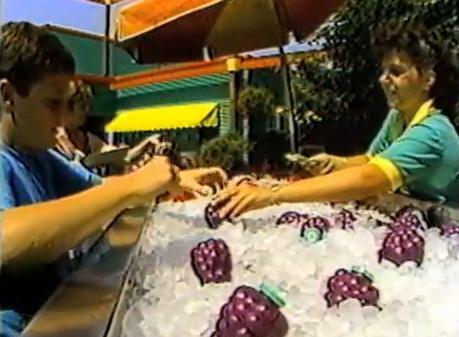 I remember drinking these as a kid, probably not at Sesame Place, but I do remember them. They had a "sports bottle top" and looked really cool. Here is a picture of them available at a stand outside the Food Factory.